39443710	 TSP800II, Thermal, Friction, 2 Color, Cutter/Tear bar, Parallel, Gray. Power supply (Part# 30781753) and interface cables not included. See accessories. Also known as TSP847IIC-24GRY. 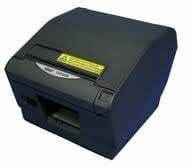 The Star 39443710 is also known as Star Micronics	STA-39443710	.